This is indeed the opinion of cult experts in the U.S. such as Steven Alan Hassan and Rick Ross. From what I’ve been reading, Gwen Shamblin is a 45 year-old dietician from Nashville who created a Scripture-based weight-loss program called The Weigh Down Workshop in 1986. It was one of many Bible-based weight-loss programs, costing participants $103 a piece for a 12-week workshop. Participants met in groups of five or more weekly, mainly at churches, and were taught a biblical approach to eating. 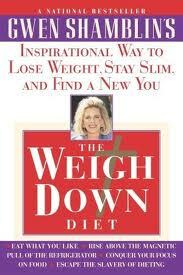 In 1997, she published the diet plan into a book which became an instant best-seller. Several more books followed and Shamblin was on her way to becoming a real success story. In 1999, she was “feeling led to go even further in helping others to live fully for God” and decided to found her own church, known as the Remnant Fellowship Church in 1999 http://www.gwenshamblin.com/ along with her accountant husband. Not long after this new church was founded, followers found out that Shamblin did not believe in the Trinity. Instead, she believes Jesus is her God and Savior, but that He is subordinate to God the Father. Almost overnight, her successful program was thrown of out thousands of churches. Shamblin admitted that 10 to 15 pastors were calling her every day, telling her they no longer wanted her materials in their churches. Employees began to leave and the publisher of her next book withdrew from the project. But that was only the beginning of Shamblin’s troubles. This list of articles relates years worth of controversy surrounding the group. For instance, Shamblin has been accused of being in business for the money, which is hard to refute while living in a plush home in the well-to-do Brentwood section outside Nashville; she was also criticized for using the Holocaust to promote her plan, saying that the Nazi extermination camps proved that people can survive by eating far less food than they think possible. Employees have sued her, alleging that they were forced out of their jobs because they refused to leave their own churches and join Remnant Fellowship. Shamblin also claims that anyone who questions her techniques is questioning God’s own plan. “To accuse me of being deceptive is very strong language because I’ve been led by God to do this,” she said. Typical of occult behavior, criticism of Shamblin is not permitted. Rob and Brenda H. of Florida were interviewed in this article and said they weren’t allowed to read material unless Shamblin had written it or listen to music by anyone except her son, Michael. ”They were filling your mind with nothing but Gwen Shamblin and her twisted Scripture. Leaders would tell you, ‘You are listening to a prophet from God’,” H. said. H. and his wife were also forbidden to associate with their daughter and grandchildren because they weren’t Remnant believers. The couple said the last straw for them came when the Remnant Church was linked to the death of an eight year-old boy named Josef Smith. His parents, Joseph and Sonya Smith of Mableton, Georgia, both Remnant church members, were accused of chronically abusing and eventually murdering the boy. Police became suspicious of a link between the church and the murder when former members said the sect endorsed harsh punishment and discipline, including the use of glue sticks to whip children because they didn’t leave marks on the skin. During legal proceedings, the Smiths did admit to using glue sticks on their child, but no connection to the Remnant church was ever made. The Smiths were eventually sentenced to life in prison plus 30 years for the murder of their son. Anyone who has a family member or friend who is involved in Remnant Church should contact a mental health expert who has expertise in the area of cults and the kind of mind control techniques employed by these groups. One such expert is Steven Hassan whose website offers valuable advice and resources for families of suspected cult members. This is a very serious matter that must be handled by professionals.